The capacity of a rechargeable battery will decrease slowly over time - this is normal. The amount of time is related to the number of charge-discharge cycles the battery undergoes. One cycle equals one charge and one discharge. In order to maximise the capacity, use batteries promptly after purchase. Or, at least plan your purchase, such that the replacement batteries arrive just in time. 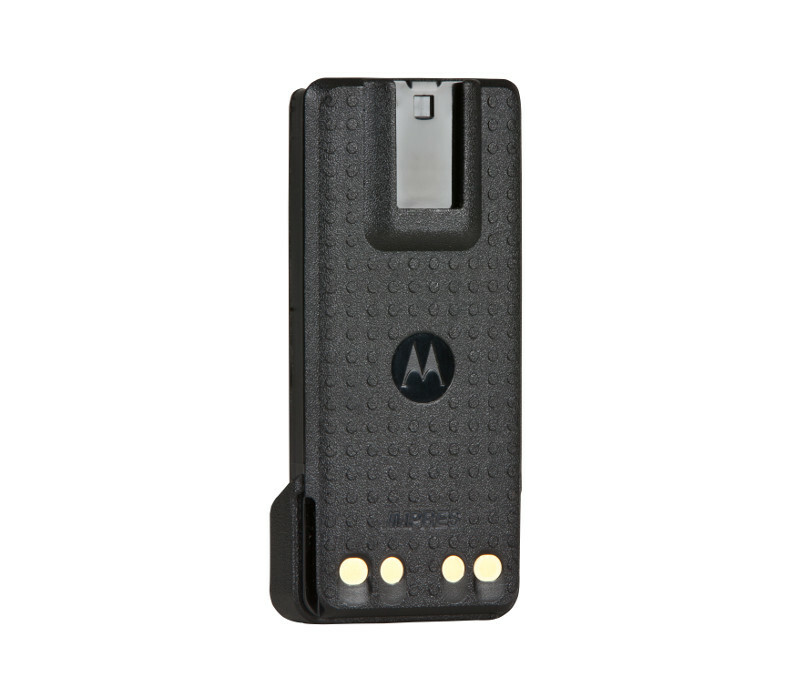 Always charge the battery using a Motorola charger. Charging in non-Motorola chargers could result in reduced performance; battery damage and may also be a safety risk. Do not disassemble, crush, puncture, shred, or modify a rechargeable battery. Also, do not discard your battery in a fire or municipal waste. Many countries have services to recycle, or safely dispose, rechargeable batteries. Remove the battery from the radio. Some radio models will draw a minute amount of current from the battery when switched off. This current drain will ultimately discharge the battery which would have a negative effect on performance. 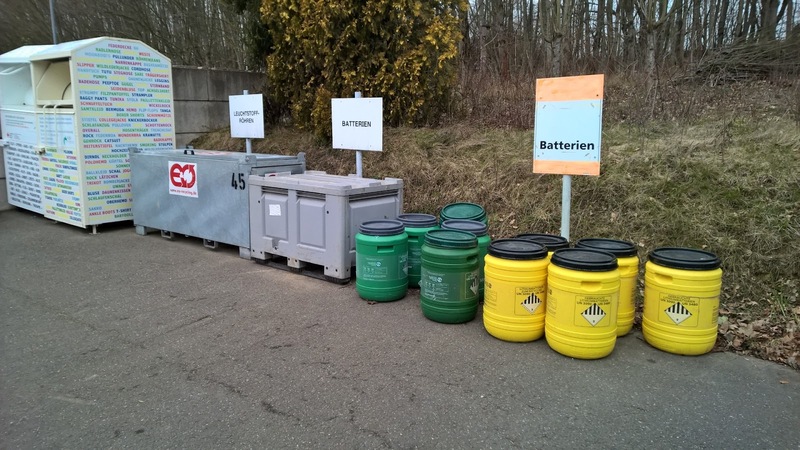 If you are using UL or ATEX batteries, do not remove or swap the battery in a hazardous area. Do not store batteries with flammable materials. Even the smallest risk of a spark with flammable dust or vapour should be considered as such and must be avoided. Batteries should be stored in a well ventilated, temperature and humidity controlled environment. A temperature of around 20°C and a RH of 30% are the best. The optimal battery storage condition is to have the batteries at a 50% charge state. Generally speaking, new batteries can be stored as delivered from Motorola - although it still makes sense to carry out an initial charge. Used batteries should be charged or discharged to approximately 50% before storing. Batteries which have been in storage will initially have a poor capacity and will need several cycles to return to their optimal capacity. If you are using IMPRES batteries, the charger will automatically enter a calibrate cycle. 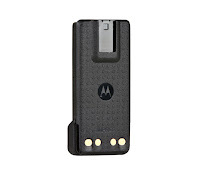 All Motorola radios have a specific IP rating. Similarly, the batteries used with these radios have a matching IP rating - which is only applicable when the battery is attached to the radio. You should, therefore, use the battery in accordance with its IP rating. If the battery gets wet, wipe the contacts with a cloth or paper towel and allow the battery to dry in the open air. Do not heat the battery with a hairdryer and definitely do not put the battery into a microwave oven. Be careful to not to allow the radio-battery contacts to short out. For example, do not put a battery in your pocket, purse etc. together with metal objects such as jewelry, keys or coins. Non-IMPRES batteries should be left for another 1-2 hours after the steady green light comes on. The green light indicates that the battery is more than 90% charged but does not always mean it is fully charged. Do not leave the radio and fully-charged battery in the charger when not charging. Continuous charging will shorten battery life. In other words, do not use the charger as a radio stand. Only charge a battery when it needs to be charged and allow it to charge fully before removing from the charger. Repetitive short-cycle charging of non-IMPRES batteries will shorten their life. When charging IMPRES batteries for the first time, you must do this in an IMPRES desktop charger. Allow the battery to be fully charged (solid green LED) to ensure optimal performance. This will initialize the cells and write valid IMPRES information in the battery.